Marriage 101 - Back to the Basics is part of the Grace Ministries "101" family. Its one goal is to build and maintain strong and healthy marriages. Over the years, its resources like "Before You Say I Do", "So, You're Getting Married" and now "Marriage 101" that have helped tens of thousands of couples get a great start in their marriage relationship. Greg Vaughn, Founder and President, says "People prepare more to get a driver's license than they do to get a marriage license and the implications can be just as tragic." Marriage 101 is the culmination of years of experience in producing premarital and marriage counseling resources. By combining the best in modern technology and solid biblical teaching, Marriage 101 has become the #1 marriage program available today. Dr. Gary & Barb Rosberg (America's Family Coaches) and Dave Ramsey (Renowned Financial Author) provide trusted teaching in an easy to use and down-to-earth format. Eight, straight to the heart sessions, and two bonus sessions, are the core of the series. Session Length: 25 minutes. And now, for the convenience of couples everywhere, the entire series is also entirely ONLINE! Couples now have the very best in counseling with 24/7 access from anywhere in the world. 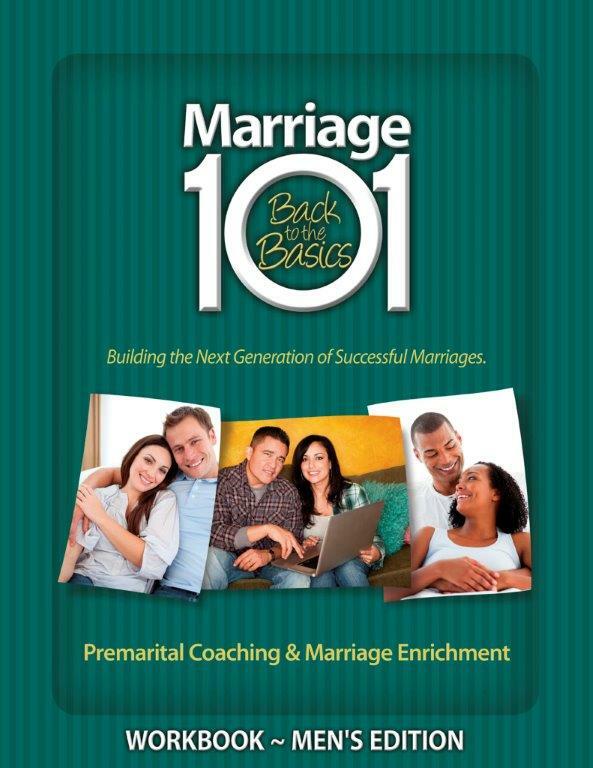 Marriage 101 - Back to the Basics is the national leader in premarital and marriage counseling and has won the "BEST OF" award four years in a row from MyWedding.com. Bonus Sessions: "Cohabitation" & "Before You Say I Do Again"
Call 800-527-4014 to have Marriage 101 streamed directly to every member of your church through our Grace Digital Library. Gender specific manuals designed to generate discussion, keep the participants focused, and reinforce the video teaching. This manual is a must for any serious student and contains many activities that will help couples build a marriage that will last a lifetime. They also serve as a reference guide for the future discussions. Features Dr. Gary & Barb Rosberg (America's Family Coaches) and national Radio Host, Dave Ramsey. The Coach Kit contains everything needed to set up and maintain a strong and viable premarital and marital counseling ministry. 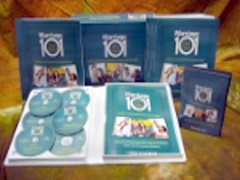 The Marriage Kit is the perfect companion to the Marriage 101 DVD Series. For couples that want to go beyond just the surface. Each book complements and expands the Marriage 101 experience. This kit will serve as a reference tool that will be used over and over again. For relationship building, research, and plain common sense you will find nothing better than the Marriage Kit. This collection of books, the "Making Marriage Work CD", and Family History Analysis worksheets are great resources to enhance any library. For more Marriage 101 resources click here!